Most people go travelling and take souvenirs home like fridge magnets, chocolate, and postcards. Bo-oring! 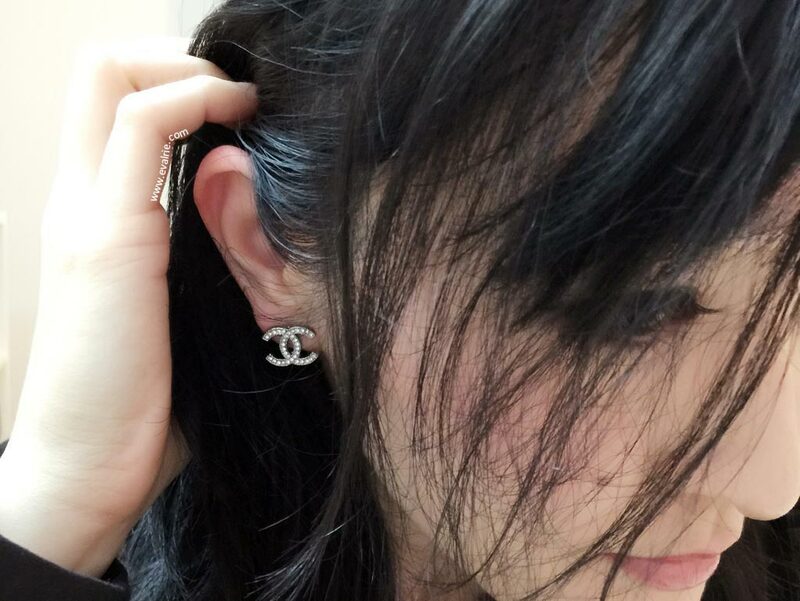 Functional things that actually gets used are much better, so what better place to buy the highly coveted Chanel CC earrings than in Paris, France? 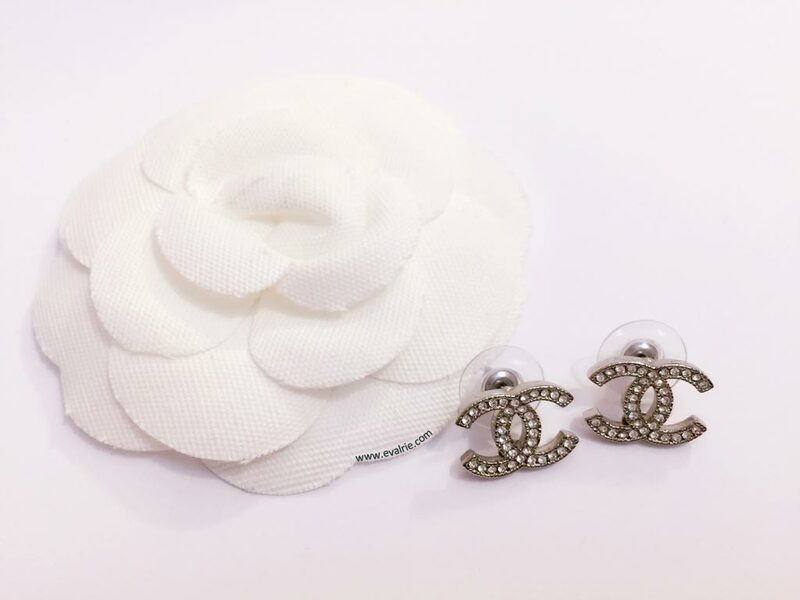 Every girl needs a classic bling stud, so I swooped down on these pretties last year in Europe at the Galeries Lafayette. That building could send the fashion obsessed into overdrive with the lights, cosmetics, brands, bags, and jewellery inside. It’s the true candy store of fashion and beauty junkies! 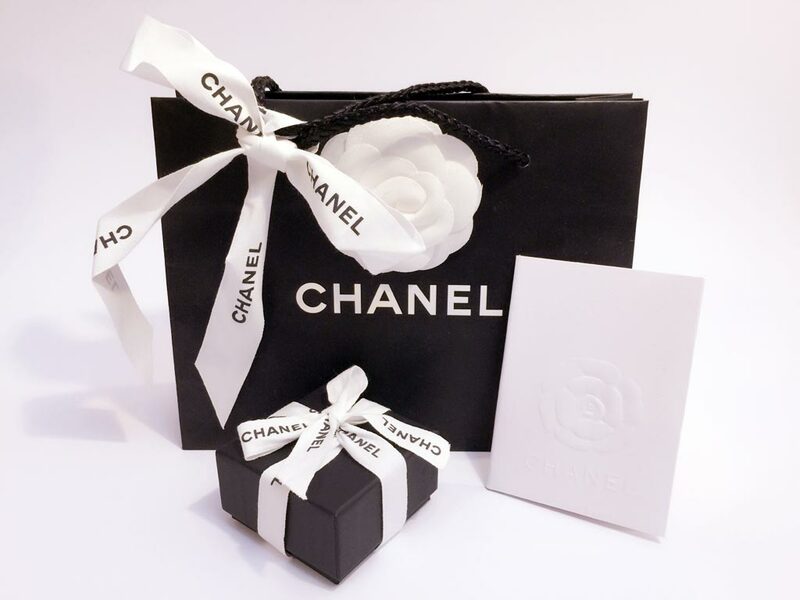 Chanel never fails to look chic with their black and white packaging. 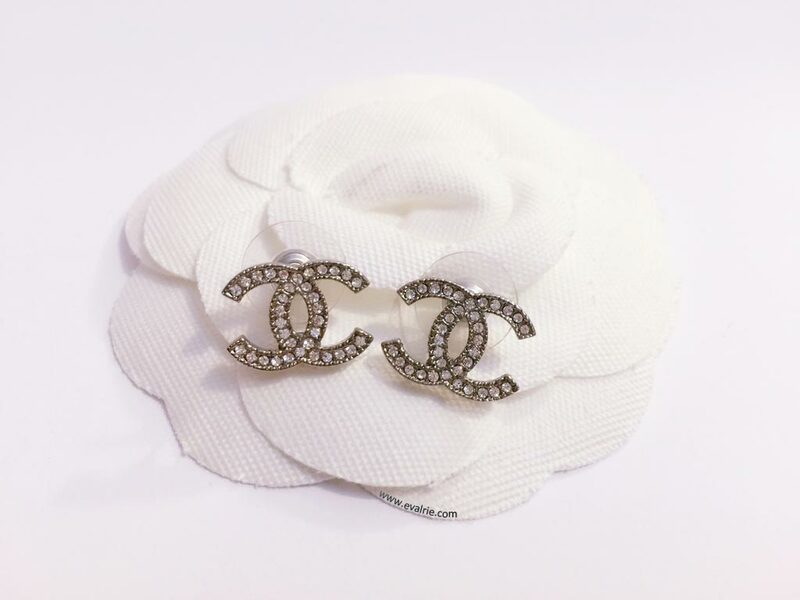 Take a picture of anything and throw in something Chanel on the side. Instant class. Yeh, I know, instagrammers already got this down. Anyway, it came with far too much packaging for such a small item, but it’s all included in the price and part of the experience. 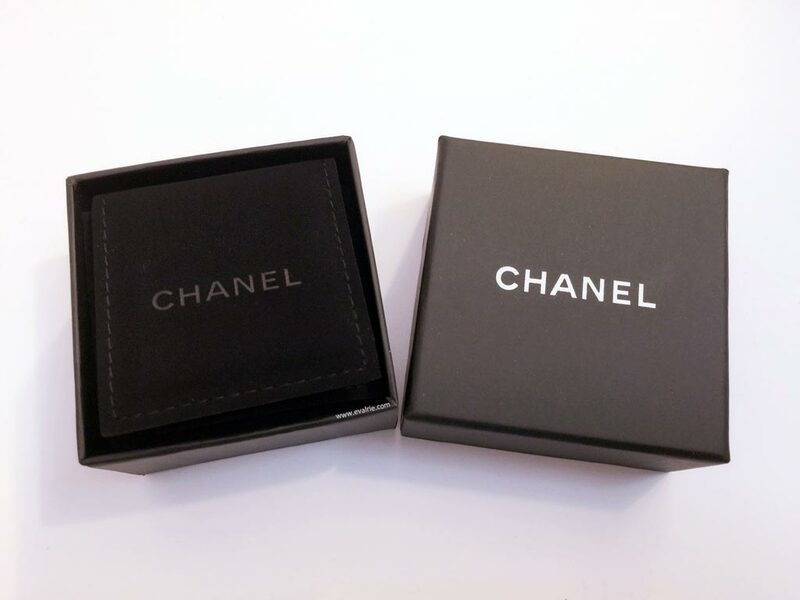 Like *shock, horror*, your Chanel only came with a box? Without a ribbon?! Totally didn’t get your money’s worth. Does anyone else slightly hold their breath when unwrapping Chanel? It’s like: Tug on the ribbon. Inhale. Slide the lid off. Exhale. I know, stop it, they’re just earrings. And there they are! It might not be real gold and diamonds, but the bling gods were no less generous with how these babies can sparkle. Sorry to sound cliched, but photos really don’t do it justice. Prices in Australia were around the $400 mark for these at the time, which I expect will only get exorbitantly more expensive. Snapped it up for 190 euros (around $280AUD) and possibly my most expensive shopping buy in France (had another 5 cities to visit afterwards, so can’t spend it all at once). Being costume jewellery, it’s made with metal (probably rhodium or stainless steel) and clear diamante crystals. No one’s buying these for the materials, although quality isn’t bad (and stamped oval backing hasn’t fallen off yet! Google it. Apparently happens often). Purely a materialistic driven indulgence here! 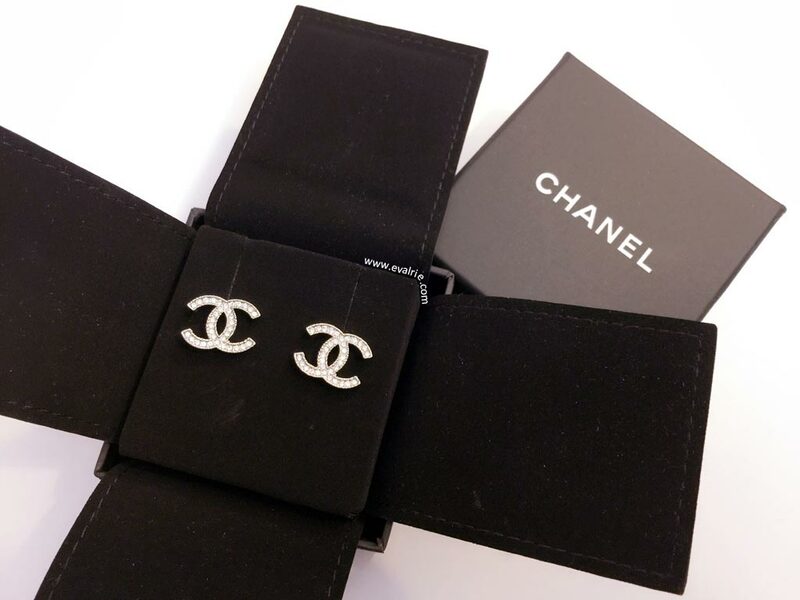 What’s your experience with Chanel jewellery? Would you wear it to work? Let me ogle your collections! 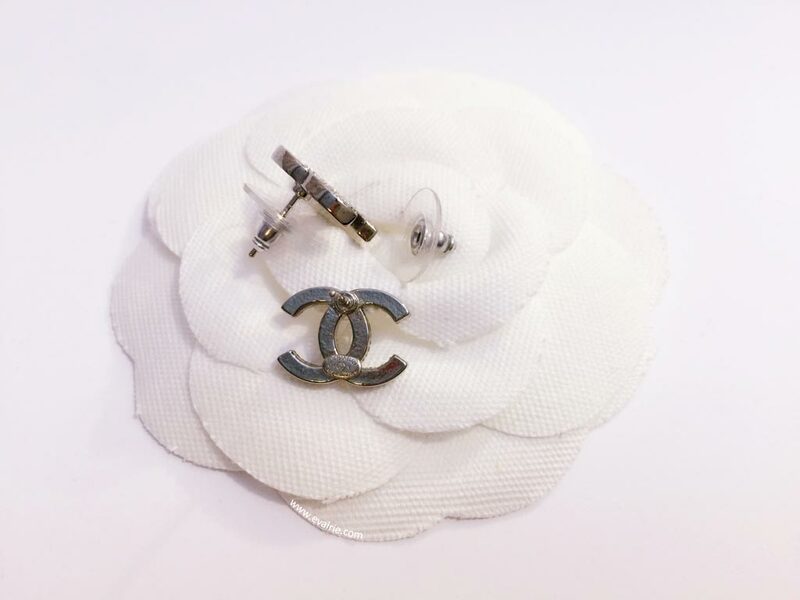 This entry was posted in Fashion, Reviews and tagged accessories, Chanel, earrings, reviews.